Brampton Brewery is an award-winning micro brewery based in Chesterfield. 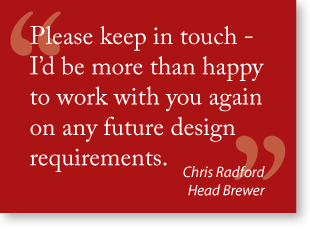 Lead by head brewer Chris Radford, they had recently revamped their website and corporate vehicle livery, but were in need of leaflets to publicise their products. Chris also wanted to cover the services they offer (including brewery tours and outside bars), and also to mention the brewery's own real ale pub, The Rose and Crown on Old Road in Brampton. I suggested that we should publicise the brewery and its services using a folded leaflet, but Chris and I agreed that it would be more flexible to cover the range of beers in a separate 'tasting guide/price list'. 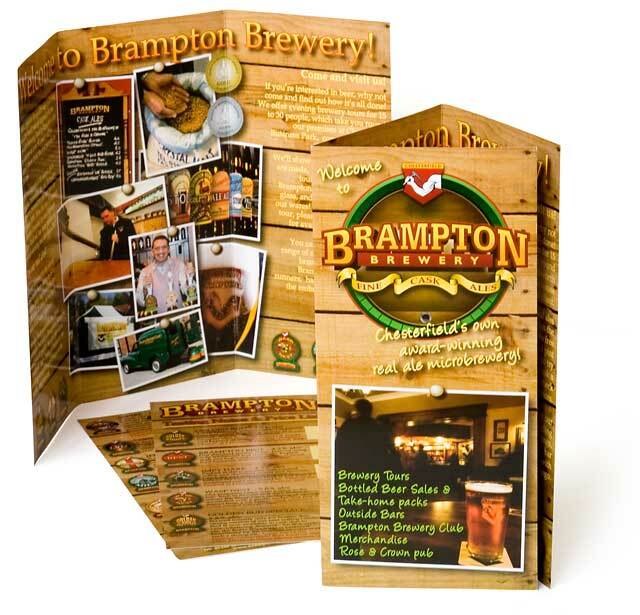 Taking the new livery and website background as my starting point for a consistent look, I designed the leaflet and beer card with a 'pinboard' theme, posting photographs of the brewery and beers on a background of wooden planking. I also helped Chris slim down and re-write the text from the intial drafts, and sourced the printing of the new-look literature.